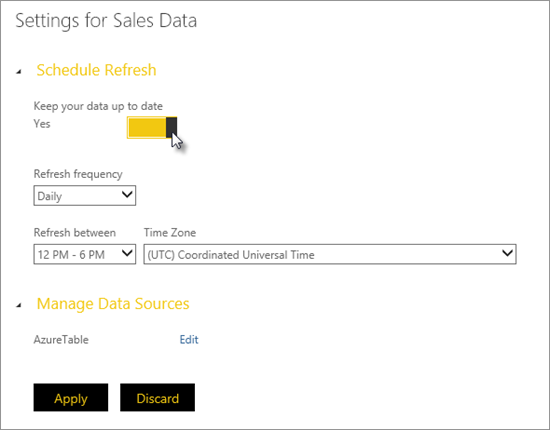 Today is a great day for the Power BI Designer – We have just enabled refresh (either “Refresh Now” or “Scheduled Refresh”) for Power BI Designer files uploaded to the Power BI service. – Web (HTML & Web APIs). How can I refresh my Power BI Designer reports? First of all, you will need to create your report using the Power BI Designer. You can find plenty of examples to get you started with the Power BI Designer in our Help Articles. 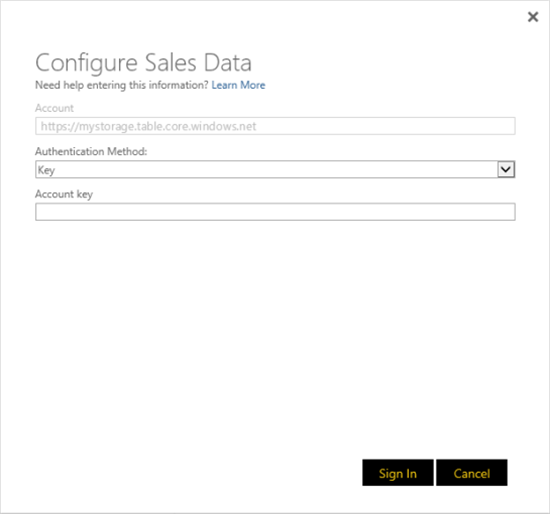 After creating and saving your report, you can upload it to the Power BI service by using the “Power BI Designer File” option in the “Get Data” page. Once you have uploaded your file, the dataset and report will show up in your Navigation pane, located to the left of your dashboards. There are two ways you can refresh a dataset, Schedule Refresh and Refresh Now. Either way, you’ll first need to specify credentials so Power BI can connect to the data source. Once specified, they are retained in that dataset’s settings and you won’t have to enter them again. 1. In the Navigation pane, in Datasets, select a dataset > Open Menu. 2. Click SCHEDULE REFRESH or REFRESH NOW. 3. In Edit Credentials, click Edit. 4. Select the type of Authentication Method, and enter account credentials. The type of authentication and credentials depend on the type of data source being connected to. 1. In the Navigation pane, in Datasets, select a dataset > Open Menu > SCHEDULE REFRESH. 2. In Settings for… > Schedule Refresh, set Keep your data up-to-date to Yes. 3. Select Refresh frequency, Refresh between, and Time zone settings, then click Apply. In the Navigation pane, in Datasets, select a dataset > Open Menu > REFRESH NOW. That’s all you need to know in order to keep your Power BI Designer reports up-to-date, but if you want to learn some more details about it, please check out this article. As mentioned earlier, this was a very frequent request from many of you and we’re very excited to enable you to keep your reports up-to-date. There are several other exciting features coming to the Power BI Designer this summer, and if you think we’re missing something important to you please let us know.